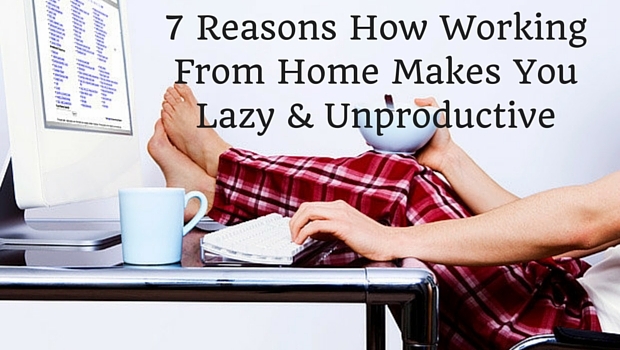 There may be a lot of reasons why men and women choose to work from home. An early parenthood, an unfortunate accident or due to physical or mental impairment, people decide to work from the convenience of their home for good or for a small duration. Either way, when it brings in some advantages, there are some disadvantages that count in too. Undoubtedly, office at home makes a person lazy and unproductive and here are the top working from home disadvantages compiled for you. More often, the individuals who work from home complain of loneliness and isolation as they work secluded from their coworkers and bosses which is quite a depressing situation for some. Workplace usually provides a platform for many professionals to make new friends and meet new people. Whereas the ones who work from home need to be more resourceful and creative in order to know more people and stay in touch with the colleagues. 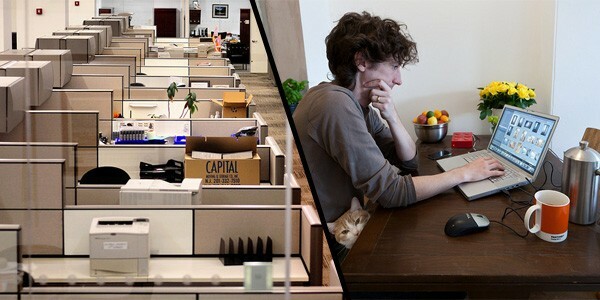 Though distractions are less when working from home, still, there are many other factors which interrupt your home job. Interruptions from family, friends, neighbors, work and children are sometimes too disruptive and it must be made clear that within specific few hours, you may not be available for any other work despite your presence at home. If you work from home, you may know that it is quite difficult to separate work from home. Suddenly you may feel that the house is not clean enough, you need to go shopping, cooking for children is necessary, socializing and home finances can just come up between the job. Therefore, it is essential to draw a line between the home and work. Office at home sometimes prolongs to late hours as well. Since there is no one to look over you, there is a slight chance that you keep some work to do later due to home problems. That task just keeps delaying as home needs a lot of attention and at the end of the day, you feel lazy to get it done. This way the work never ends and a constant weight on the head keeps reminding you that you need to get it done as soon as possible. This is one of the biggest disadvantages of working from home. A lot of developments and advancements can occur in a company and you may consider alienated from all of them. These developments can be new business, staff changes, new innovations, change of location, etc. The danger of being removed from career development opportunities and overlooked for promotions becomes quite a reality when you work from home and other colleagues are working aggressively to get the new position. More communication with the management and some regular visits to the company are quite necessary if you want to count yourself among the competing ones. This will also prove your commitment and dedication to your career and company simultaneously. Working from home is not easy. It takes a lot of discipline, self-control and dedication to motivate yourself to give time to your career, forgetting all the important stuff that your home might need. The disadvantages can be minimalized by keeping close interaction with the colleagues and management in order to ensure that you remain in touch with all the company developments while they permit you to work from the comfort of your home.